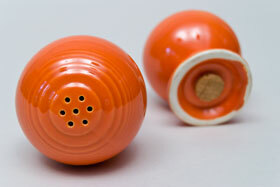 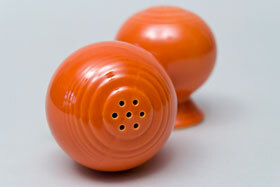 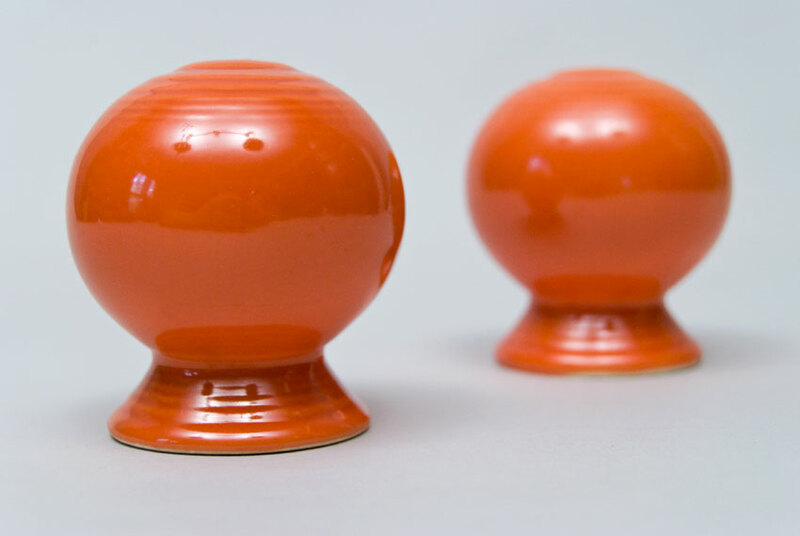 Circa 1936-1943: The Vintage Fiesta salt and pepper shakers make up two of the 14 pieces that were made through the entire vintage production. 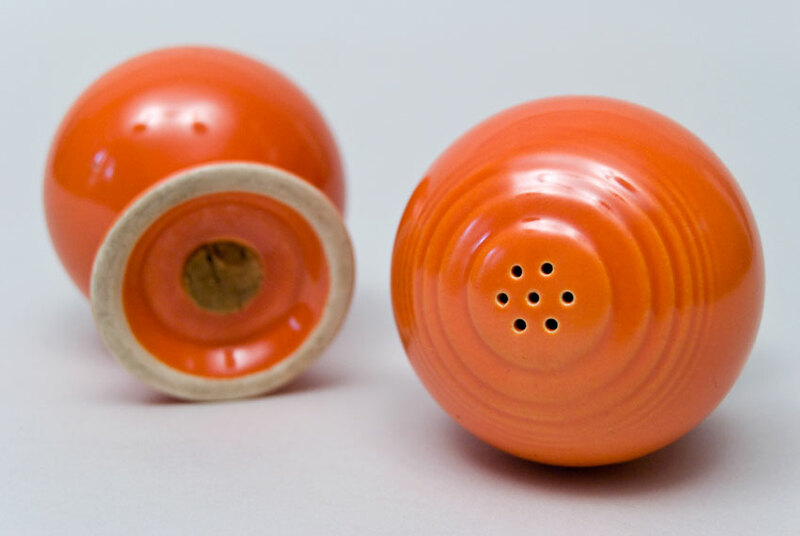 They were part of the original line and oddly enough were sold seperately and not as pairs although there is a distint difference in them, the pepper having smaller holes and a smaller hole pattern than the salts. 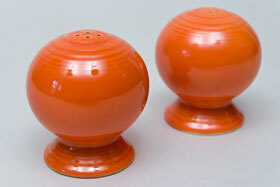 Due to their small size they were also one of the very few Vintage Fiesta items that were not marked. 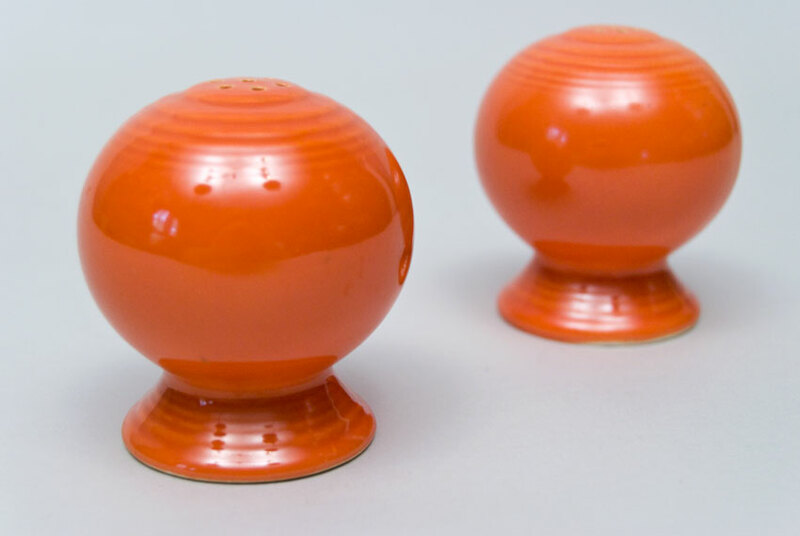 Slip cast, the mold seam would have to be smoothed by hand, as in many of the slipcast items, but probably because of their small size, the seams tend to show up more on the Vintage Fiesta shaker than most pieces. Unglazed foot. 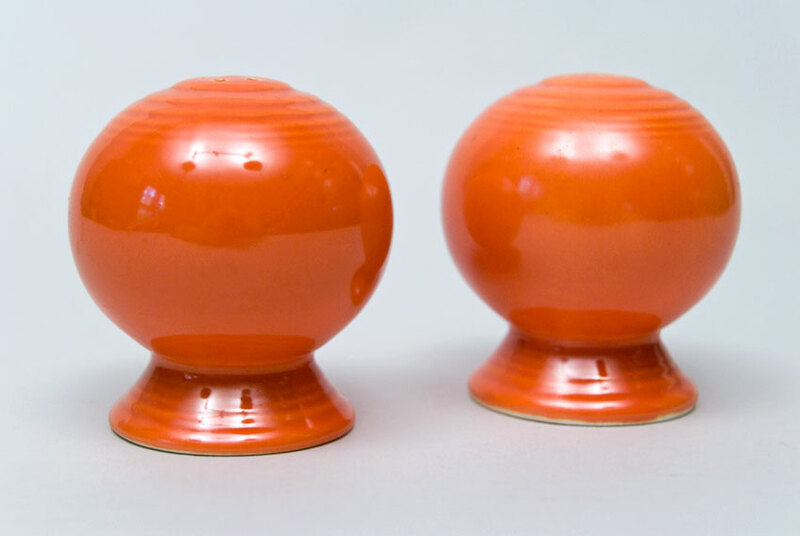 Measures: 2 3/4" h, 2 3/8" w. This example is in very nice condition with no damage and an actual pair with different sized holes atop.